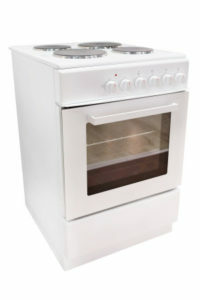 Stoves are an all in one appliance that have and oven, grill and cooktop usually in an upright unit. Occasionally our clients have what is called an elevated range which is an appliance that has the cooktop beside the oven and sits on a bench. Our vans carry a large array of parts that fix common stove problems. Some of these problems are faulty switches and thermostats, blown elements, burnt wires, worn hinges, broken door seals and burnt out fan motors. Not sure if your stove is worth repair? Have us check your stove, if you decide it is not worth repair the cost of the service call is included in us installing a new stove for you. We can advise you on what brands may be suitable for your situation.